An independent group of human rights experts say it has found no evidence to support the story by Mexican officials that 43 students were burned to death and discarded. The students went missing nearly a year ago and the remains of only one student has been identified. An embarrassed President Enrique Pena Nieto will have to reopen its investigation. In recent years, fewer than 200 Mexicans have been granted asylum in the US annually — a tiny percentage of applications from the country overall. 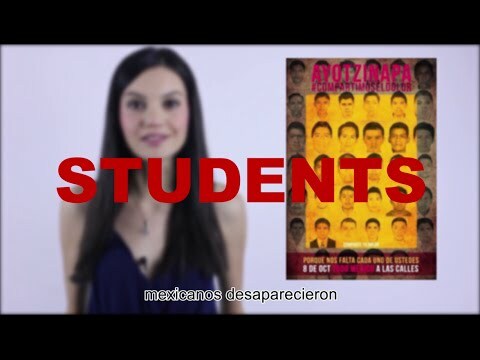 It’s been six months since 43 Mexican students vanished from the city of Iguala in Guerrero, Mexico. But some parents and families of the students say there are unanswered questions about what happened that fateful night, and that their ordeal is not over. It's been two months since 43 students went missing in Mexico, and demonstrators are still in the streets demanding accountability. But the protesters are also angry over Mexico's "national chaos," and are demonstrating for both answers and change. Iguala, Mexico is a place that's hostile to outsiders and heavily controlled by drug cartels. That makes it an extremely difficult — and dangerous — place to look for the 43 missing students who were allegedly abducted by the local police force.